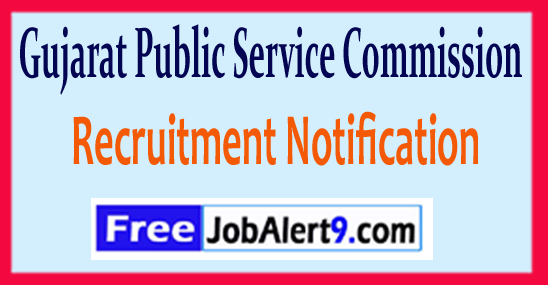 GPSC (Gujarat Public Service Commission) Has Released Recruitment Notification For 70 Lecturer, Research Officer, Dy Director Posts. All Eligible & Interested Candidates Can Apply On-line. Further Detailed Information Regarding Educational Qualifications, Age Limit, Selection Procedure, Exam Pattern, Syllabus for GPSC (Gujarat Public Service Commission) Recruitment 2017 - 70 Lecturer, Research Officer, Dy Director Post is mentioned below. How To Apply - All Eligible & Interested candidates may fill the on-line application through official web-site (http://www.gpsc.gujarat.gov.in). before / (31st May 2017). Starting Date of Online Registration of Application Form Is - 15-05-2017. Last Date For Applying Online Is - 31-05-2017. Click Here For GPSC Recruitment 2017 Detailed Advertisement. 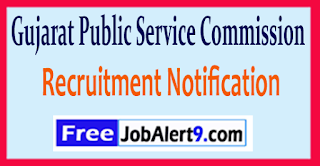 GPSC (Gujarat Public Service Commission) Has Released Recruitment Notification For 65 Lecturer Posts. All Eligible And Interested Candidates Can Apply On-line. Further Detailed Information Regarding Educational Qualifications, Age Limit, Selection Procedure, Exam Pattern, Syllabus for GPSC (Gujarat Public Service Commission) Recruitment 2017 - 65 Lecturer Post is mentioned below. Age Limit - Candidates upper age limit should not Exceed 42 -Years As on (31-05-2017). How To Apply - All Eligible & Interested candidate fill the online application through off-icial web-site (http://ojas.gujarat.gov.in). before or on 31-05-2017. Starting Date For Online Application Is - 15-05-2017. Dead Line of Online Application Is - 31-05-2017.